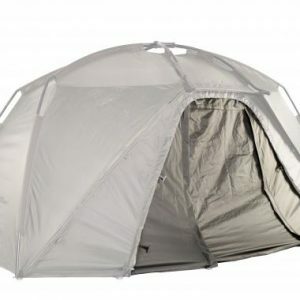 Packing down to 44″ (112cm) and weighing just 4.6kg, it’s the short session shelter of the future. The Titan derivative that Kevin Nash is backing to relegate oval style umbrellas to carp history. 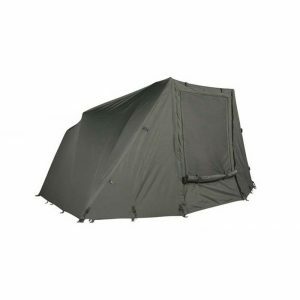 Following the world beating success of the restyled Titan bivvy series, the Titan Hide takes the same principle of a quick erect rigid and lightweight frame, but tailored for maximum protection for overnighters and even day sessions. 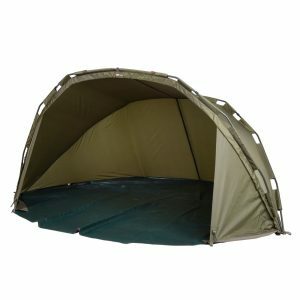 Packing down to 44″ (112cm) and weighing just 4.6kg it’s the short session shelter of the future. Curved front ribs protect against driving rain, with extended cut storm panels to allow kit to be kept dry even when used open fronted. 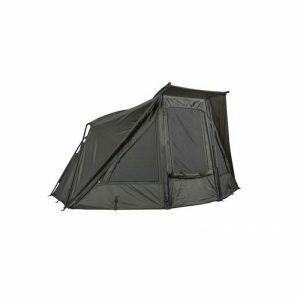 So rigid and stable is the Titan Hide that unless in absolutely extreme weather or in head on winds, fitting storm poles is unnecessary – saving even more time when setting up and packing down. 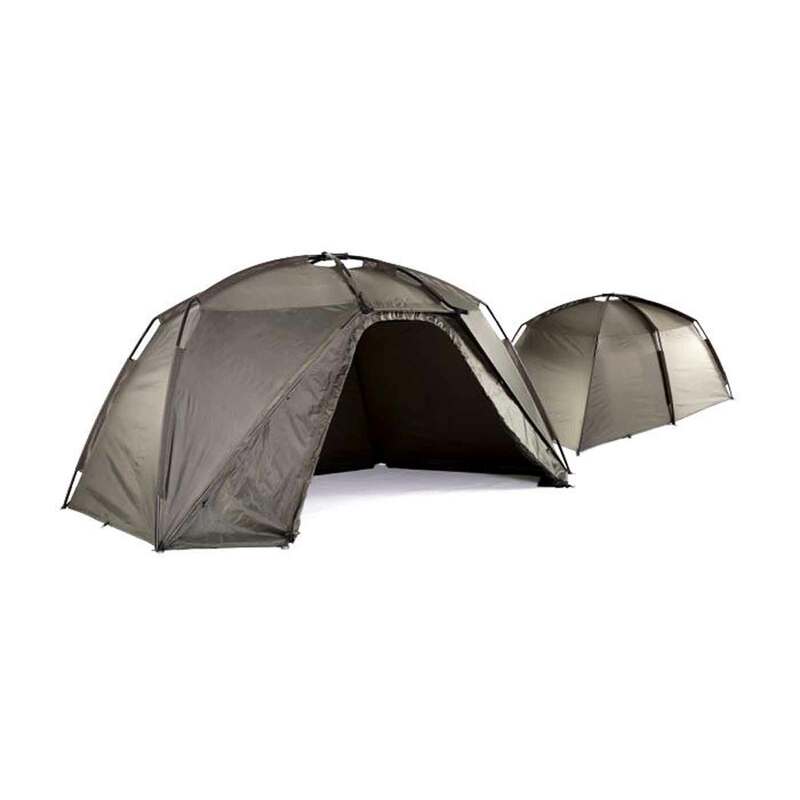 For the rare occasions when additional support is required, the unique Fast Fit storm pole adaptors slide then lock over the front rib mouldings to support the canopy in seconds, without bivvy sticks needing to be screwed into position each time. For changing seasons an optional zip in mozzi mesh infill panel or full waterproof panel add flexibility with an additional second skin available for session comfort or winter conditions.